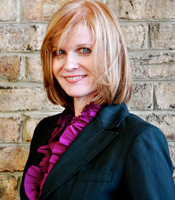 Dr. Jennifer Byrne is vice president of Engineering and Technology, Aeronautics for Lockheed Martin Corporation. In this capacity, she is responsible for leading the design, development, operation, and sustainment of the F-35, F-22, F-16, and many other aircraft. 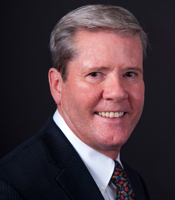 Dr. Byrne previously served as vice president of programs, products, and solutions for Lockheed Martin Corporation’s Integrated Systems and Global Solutions-Defense business, and as corporate vice president, technology. She has led several critical initiatives for Lockheed Martin Corporation, including the start-up of Global Technology Initiatives, and program turnaround for GeoScout National System for Geospatial-Intelligence Programs. She is a Lockheed Martin Fellow Emeritus and an Associate Fellow of the American Institute of Aeronautics and Astronautics. Dr. Byrne earned bachelor of science degrees in biochemistry and mathematics from the University of Dallas, a master of science degree in electrical engineering from Temple University, and a doctor of philosophy degree in systems engineering from GW in 2012. 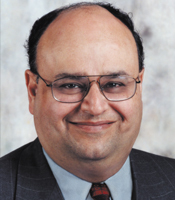 Mr. Pradman P. Kaul is president and chief executive officer of Hughes Communications, Inc., the world’s leading supplier of broadband satellite services and network solutions using interactive VSAT (very small aperture terminal) products. He has been recognized for his professional achievements many times over the course of his career, most notably in 2004, when he was inducted into the National Academy of Engineering, and in 2009, when he was inducted into the Society of Satellite Professionals International (SSPI) Hall of Fame. Most recently, he was honored by the Arthur C. Clarke Foundation with the 2012 Innovator Award and received the first-ever Lifetime Achievement Award by COMSYS telecommunications consultancy company for his visionary leadership and contributions to the satellite industry. Mr. Kaul received a bachelor of science degree in electrical engineering in 1967 from GW, and a master of science degree in electrical engineering in 1968 from the University of California, Berkeley. Dr. Laird H. Moffett is chief scientist at Envisioneering, a small business that provides mission support and technology development for U.S. national security. In this role, he provides management consulting and technical expertise to the Electronic Warfare Branch and the Directed Energy Warfare Office at the U.S. Naval Surface Warfare Center. Dr. Moffett joined the Envisioneering team of engineers in 1999 after a 30-year career that included work at the Naval Research Lab in Washington, D.C., and with Raytheon Systems in the fields of electronic warfare, signal processing, RF design, and modeling and simulation. Dr. Moffett earned a bachelor of science degree in electrical engineering from the University of Missouri at Rolla in 1967, a master of science degree in electrical engineering from Michigan State University in 1968, and a doctor of science degree in electrical engineering from GW in 1976. 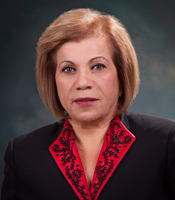 Ms. Nayereh S. Rassoulpour is president and chief executive officer of NSR Solutions, Inc., a small business that provides a wide array of information technology and professional services for the federal and state governments and the private sector. Ms. Rassoulpour started her business in 1990 with one employee, and today the company has more than 300. Its partners have included the GSA; the U.S. Navy, Army, and Air Force; the U.S. Departments of Labor and Agriculture; Kelly Services; ChainLink Networking Solutions; and NAV AIR and NAVSEA, among others. In 2013, INC Magazine named NSR Solutions #42 in its Government Services category; NSR was the fastest-growing private company that year in the State of Maryland. Ms. Rassoulpour is a member of the Society of Women Engineers. She received a master of science degree in information systems management from GW in 1990. 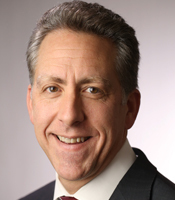 Dr. Ian A. Waitz is dean of the School of Engineering and the Jerome C. Hunsaker Professor of Aeronautics and Astronautics at the Massachusetts Institute of Technology, where he has been on the faculty since 1991. As a researcher, Dr. Waitz has made advances in gas turbine engines, fluid mechanics, combustion, and acoustics. From 2004 to 2014, he also served as the director of the Partnership for AiR Transportation Noise and Emissions Reduction (PARTNER), an FAA, NASA, DOD, EPA and Transport Canada-sponsored Center of Excellence with participants from a dozen universities and 50 industry and government organizations. In 2003, Dr. Waitz received a NASA Turning Goals Into Reality Award for Noise Reduction, and in 2007 he was awarded the FAA Excellence in Aviation Research Award. He is a member of the National Academy of Engineering, a Fellow of the American Institute of Aeronautics and Astronautics, and an American Society of Mechanical Engineering and American Society for Engineering Education member. He received a bachelor of science degree in aerospace engineering in 1986 from the Pennsylvania State University, a master of science degree in aeronautics in 1988 from GW, and a doctor of science degree in aeronautics in 1991 from the California Institute of Technology. 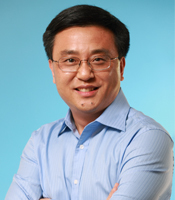 Dr. Ya-Qin Zhang currently serves as the president of Baidu Corporation, a leading Internet company based in Beijing, China, with over 40,000 employees. Dr. Zhang joined Baidu from Microsoft, where he most recently served as corporate vice president and chairman of its Asia R&D Group, leading Microsoft’s overall research and development efforts in Asia-Pacific. During his 15-year tenure at Microsoft, he held various other key positions, including the managing director of Microsoft Research Asia, chairman of Microsoft China, and corporate vice president of Mobile and Embedded Products Division. In 1997, Dr. Zhang—then in his early 30s—became the youngest ever Fellow of the Institute of Electrical and Electronics Engineers (IEEE). He has published more than 500 papers in leading international conferences and journals, and has been granted more than 60 U.S. patents in digital video, Internet, multimedia, wireless, and satellite communications. Dr. Zhang received bachelor of science and master of science degrees in electrical engineering from the University of Science and Technology of China in 1983 and 1985, respectively, and a doctor of science degree in electrical engineering from GW in 1989.